I had been working for a year as an OT in Ireland, and was looking for work experience abroad when I heard of Work the World. They made planning, preparing and completing the placement totally achievable with their ‘MyTrip’ placement planner and their wonderful staff team. 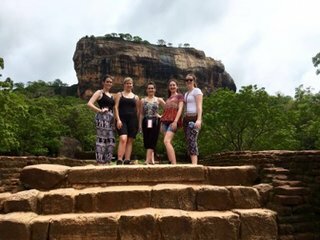 I had an amazing 6 weeks working in the OT department in Anuradhapura. I spent time in both the Physical Outpatient Department and the Psychiatric Inpatient Department. This hospital allowed for numerous learning opportunities; I observed patients of all ages with both a variety of mental and physical difficulties. These included paediatric cases like global development delay, cerebral palsy, downs syndrome and autism. Hand therapy, splinting, scar management and burns management was a big part of the case load, too. As the hospital only had two OTs, the workload was very high. The OT had to creatively advise on homemade equipment including hand function devices, specialised seating for paediatric cases, and home programmes. Group work with the patients in the psychiatric ward included gardening, music group, discussion groups and – one of my favourites – volleyball, where staff also integrated in the game. Patients were so thankful for the services they received, and the locals loved hearing you speak some of their language! 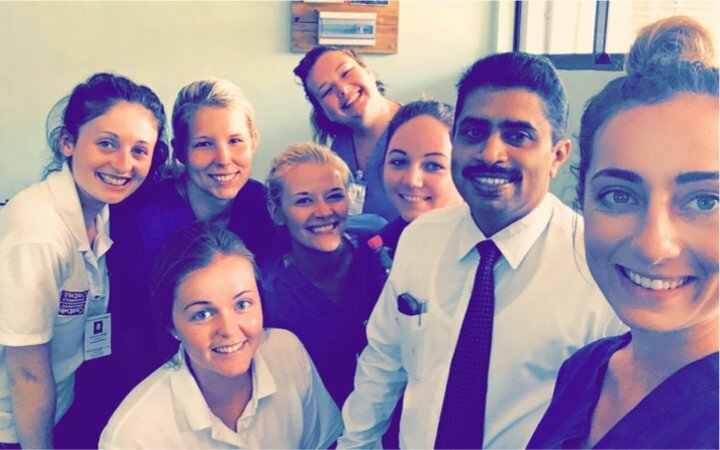 I was fortunate to have had the opportunity to visit some of the other hospitals in Anuradhapura, too. I saw rehabilitation centres in the city, day centres, and different mental health hospitals. All the OTs were keen to show me around and share knowledge. I also got to complete a home visit, visit the Occupational Therapy University where I sat in on a lecture and told them what working as an OT in Ireland was like. The Work the World house was only two minutes from the hospital, which made it much easier in the mornings, especially in the heat. The sacred city was a lovely relaxing place to go following a day at placement and it was lovely to see the Buddhist culture and the sense of community. 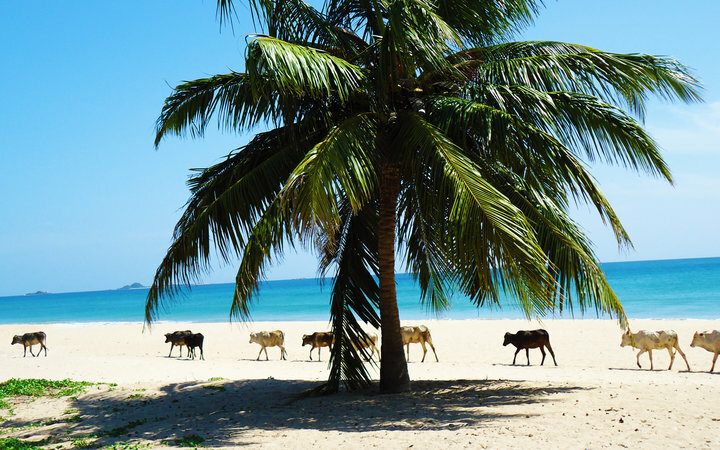 For a fabulous sunset, a visit to Mihintale is a must! Also if the work day ended early, we hopped to a hotel’s nearly swimming pool for a dip and a sneaky cocktail…! 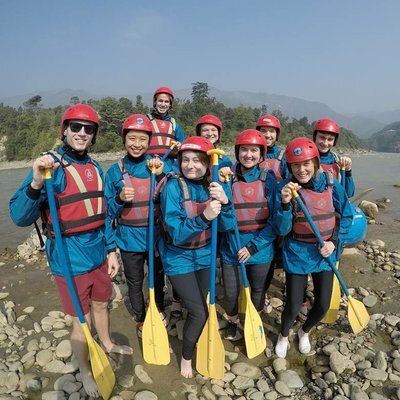 Weekends allowed time to relax and explore further afield with the other students staying in the Work the World house. 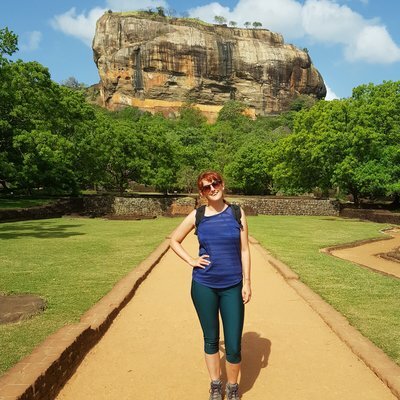 I travelled to Sigiriya, Dambulla, Kandy, Trincomalee, Colombo, and Negumbo, visiting tea plantations, spice gardens, temples, elephant sanctuaries, and beaches. The Sri Lankan people were always interested in finding out about you, they were very friendly and always smiling. 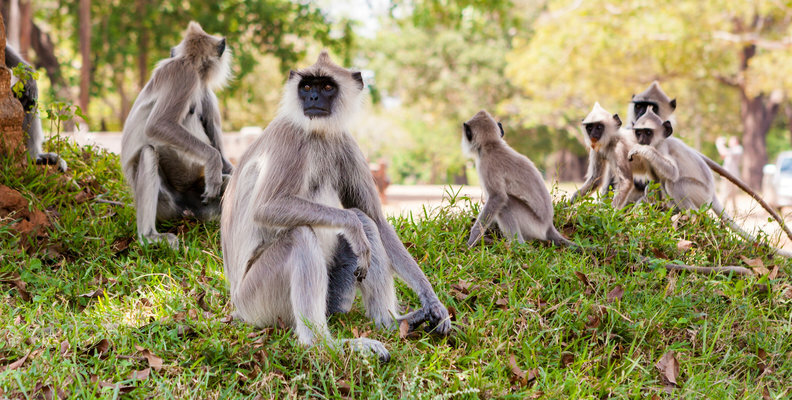 My trip was a great life experience and I would highly recommend Anuradhapura!